As it turns out, war is as big business in games as it is in real life, and while the big-name publishers duke it out with the likes of Call of Duty and Battlefield, there's a new rising star - Wargaming, the company that's beginning to feel like gaming's equivalent of a PMC operation, creators of the now-massive World of Tanks - and they're coming out swinging with even more additions to their stable - most notably World of Warships, their new massively multiplayer ship-to-ship combat game. 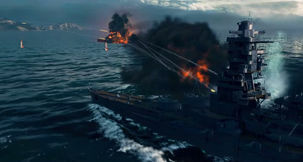 Set to feature US and Japanese ships at first, the game will then expand out, as World of Tanks did. Where its caterpillar-wheeled, tank-based brother is essentially a bloodless shooter, Warships mixes strategy into the mix and, as I get a demo, at times begins to more resemble a real time strategy game. Familiar to those already with experience on one of Wargaming's titles will be the out-of-battle interface, which remains very similar. There's a slew of ships on offer each with different stats, and while I'm told that the ship models will be tweaked and made even more realistic as development wears on, they're already pretty damn good looking. 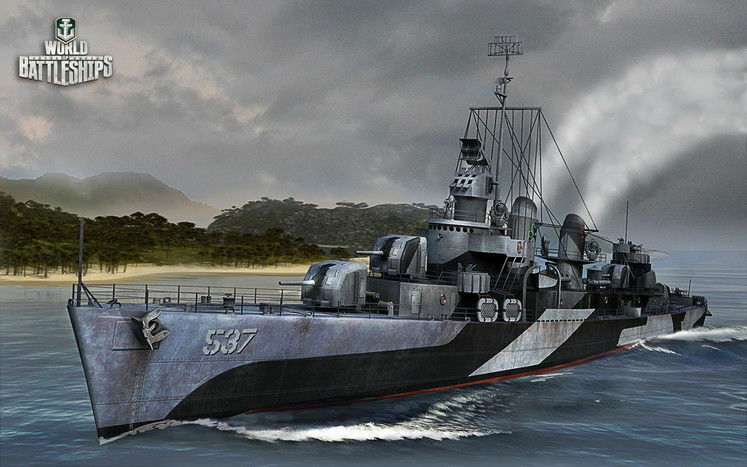 Also included in the mix is something pretty cool for war nerds like me - ships never built or completed in real life. Ships that were sunk at dock in the midst of war and never got to really serve will be available, as well as those deemed too expensive or otherwise impractical to build - they finally get their time here, rebuilt as accurately as possible to the available specs. Specifications and capabilities of ships have been fudged slightly and deliberately, however. With the pace of ship-to-ship combat in the real world, it might be a touch boring to be too slavishly dedicated to those figures - and as such, the game is still balanced towards whatever will make it fun. 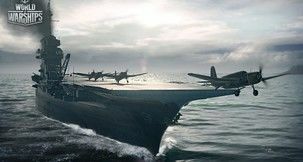 While the game's title screams out about ships and Wargaming has their own separate air dogfighting game, World of Warplanes, planes still play a large part in Warships. Instead of direct control, you'll often be ordering plans out on attack runs, real time strategy style, and there's cool camera settings that can be toggled so you can follow your planes - or even your torpedoes - out towards your target. The demo I get is brief, but when I consider that it happened during the middle of a very busy day at E3, the fact it's still sticking with me as a stand-out of the day is telling. 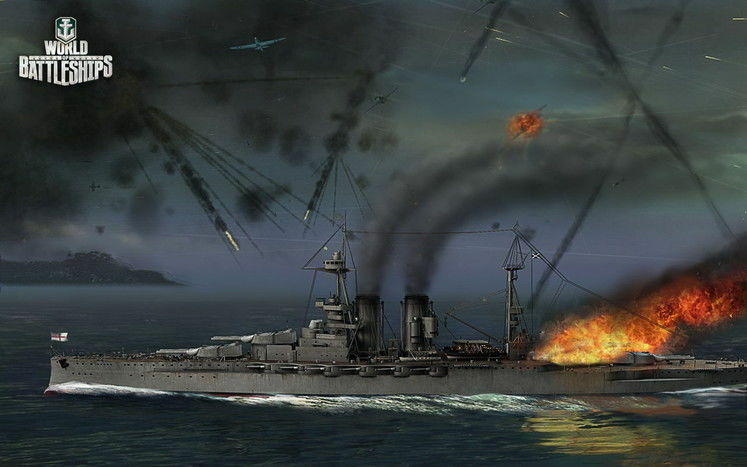 There was something incredibly exciting about it - it's a slower-moving game, but when you fire a leading torpedo shot, predicting where the enemy will be while the torpedo travels, it's an edge of the seat moment. Multiple times in the battle, the developer controlling the demo has the nearest of misses both for and against, and there's a genuinely slightly electric atmosphere watching him. 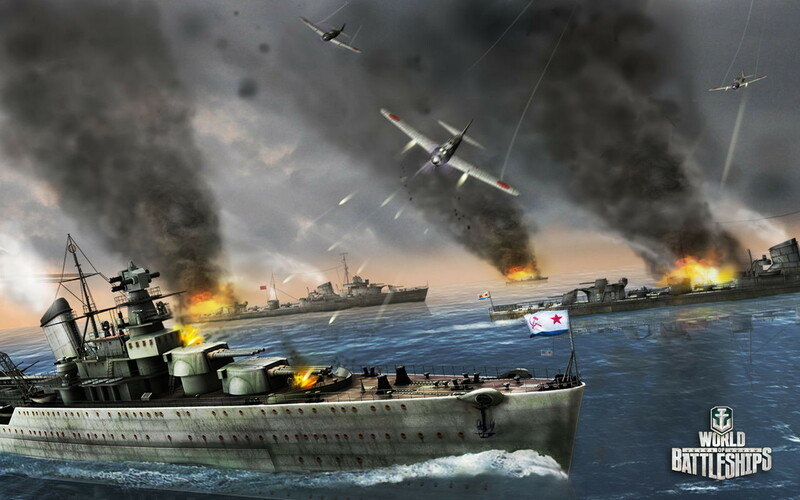 He then sets a risky heading for his ship, a Japanese Yamato Cruiser, and is so engrossed in aiming torpedoes that he doesn't see the land coming in time and almost runs the ship aground. Trying to escape the tyrannical grip of dry land, we're sitting ducks - and quickly sunk. Gutted. But... it's memorable. I'm laughing as the ship sinks beneath the waves. 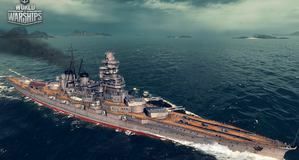 World of Warships looks like an incredibly interesting take on the World of Tanks formula, and as somebody a little more inclined towards the world of Action-RTS than third person shooter, they have my interest. Wargaming is hoping to take the game into closed Beta later this year.